For an industrial application or just doing some work around the house, you might need a winch. A winch is a device that uses a motor to turn a wheel. That wheel wraps and unwraps a long wire. It can be used to lift items or pull them. If you’re not in an industrial application, your most common exposure to a winch is probably a winch that’s on a truck. The winch on a truck is usually rated somewhere between 2,500 and 5,000 lbs. A 5,000 lb winch means that it is rated to lift about 5,000 lbs worth of materials. There are some conditions that change how much it can actually lift, though. Those are the basis for the many different questions you’ll be asked before you hire a winch. 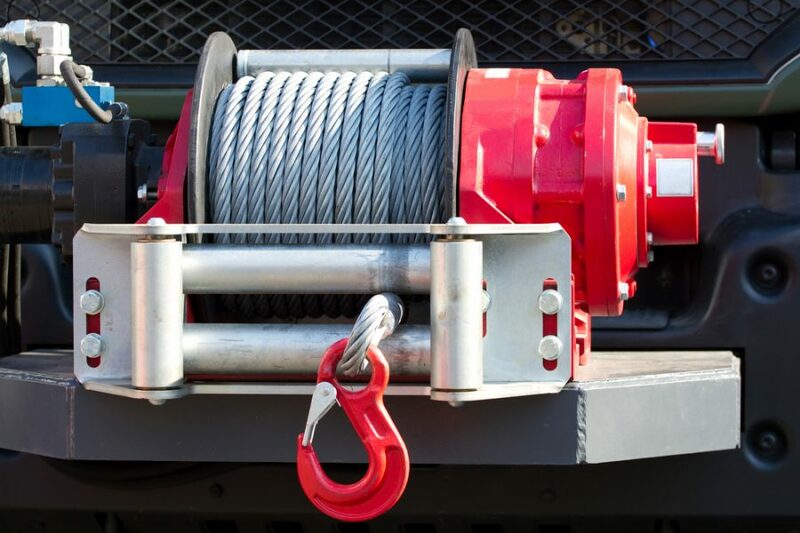 If you don’t know what kind of winch hire you need, you’ll need to answer a few questions. One of the questions you’ll need to answer is the weight of the item(s) you are lifting. Since you are hiring the winch instead of buying it, you probably have a specific job in mind. That specific job will have particular requirements. You need a winch that is rated higher than the item. If you are trying to lift something that weighs one tonne, you need a winch that’s rated higher than one tonne. In reality, your winch needs to be rated even more than that. If the item you are lifting or pulling weighs one tonne, there is more for consideration than just the weight of the item. You also need to consider the material from which you are lifting it. If it’s sitting on the top of the ground and you’re lifting it, then the material doesn’t matter. However, if it’s sitting on the ground and you’re pulling it, the material will greatly affect the winch you need. If you’re moving an item over short grass or a concrete floor, there will be very little resistance to motion. However, if you’re moving a heavy item through loose dirt, mud, or water, there will be a large amount of resistance. The resistance to motion means it will require you to have a much stronger winch. If you’re lifting an item that is buried or partially buried, the type of material being removed matters as well. For example, winches are often used to lift old pipes out of the ground. If you are lifting them straight out of the ground without a trench, you’ll need a winch that is very powerful. The line speed could be important as well. For certain applications, you’ll need a very quick line speed. The quick line speed often helps items break free from the material in which they are buried. However, other cases need a low line speed. A low line speed is important for items that might be damaged by the amount of power transmitted through the line. If the power would damage the item, a low line speed will reduce the possibility of it being damaged.